We’re updating our strategic plan to determine where we want to go as an organization in the future, and we want to hear from you! The survey is open to all employees, residents, families, and volunteers. Don’t delay and have your say! All responses are completely anonymous. 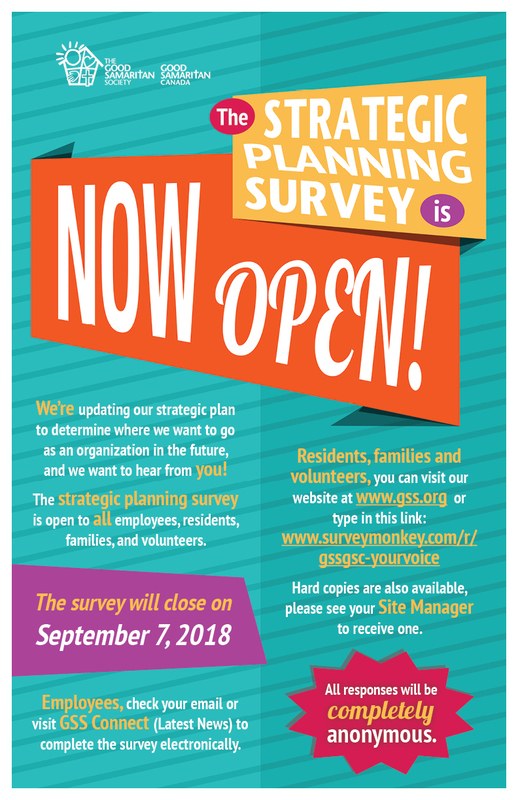 The Survey will close on September 7, 2018. Thank you for taking the time to respond. Your feedback will be vital in setting the direction of our Good Samaritan family in the coming years.